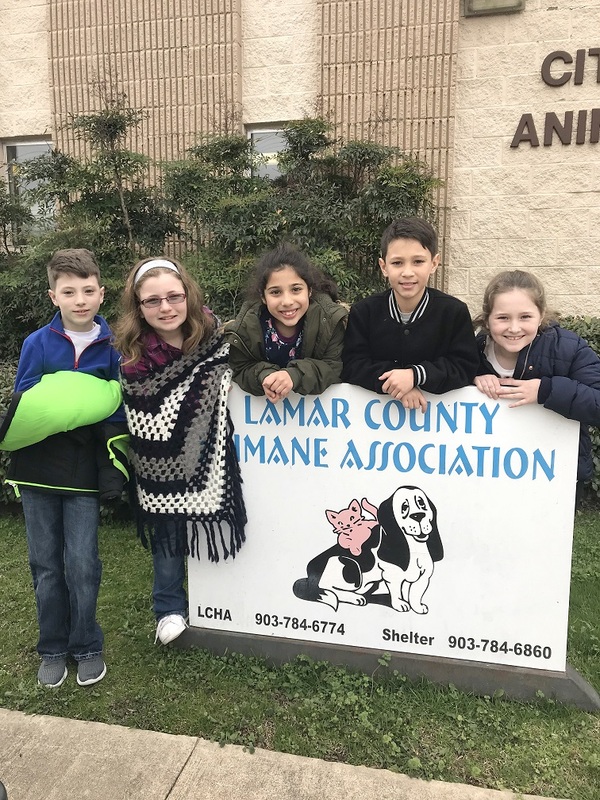 Third grade Gifted and Talented students from Aaron Parker Elementary toured the Lamar County Humane Association on Thursday. Tour guide Carrie House showed the group the animals at the shelter and explained what the association does on a daily basis. Students learned LCHA’s mission is to prevent cruelty to animals, to relieve the suffering of animals, and to educate the public in the humane care and treatment of animals. LCHA works closely with the City of Paris to find homes for cats and dogs in the city’s animal shelter. In front of LCHA are Logan Dobbs, Alivia Hughes, Aysheh Joudeh, Kruz Chappell and Harper Mitchell.